Pune : “The dowry system is the worst of all evils in Indian Society. 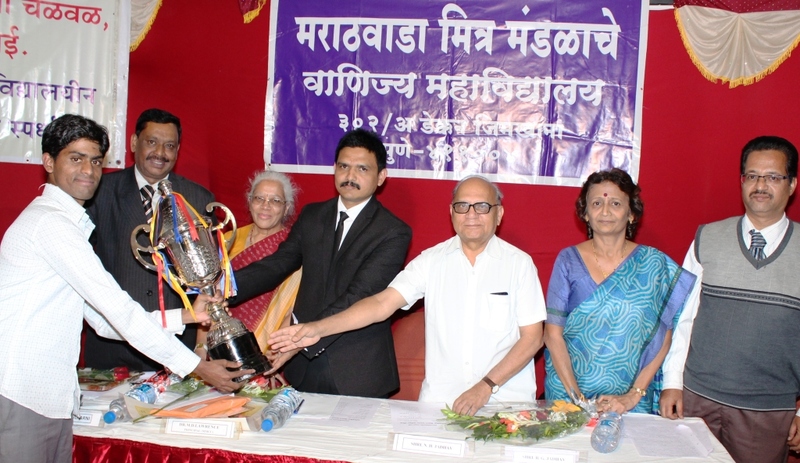 It is primarily the family that is basically affected always by its evil” said Justice M. M Adwant of Pune Family Court, Pune while addressing the participants as the Chief Guest at the inauguration of 24thAnti Dowry Movement Elocution Competition organized by Marathwada Mitramandal’s College of Commerce (MMCC), held recently. This competition was organized in collaboration with the Anti -Dowry Movement, Mumbai for the 24th year in succession. As many as 34 colleges affiliated to Savitribai Phule Pune University, Bharati Vidyapeeth and SNDT University participated in this competition. Principal Dr M D Lawrence welcomed the guests and outlined the relevance and impact of organizing such a competition for the students. He further urged the students to frankly speak out on constructive thoughts for curbing the social evil of dowry. The participants spoke on issues ranging from the increasing Graph of Suicide and Dowry Customs, Role of Parents in Anti Dowry Movement , Role of Youth in Anti Dowry Movement and Who is responsible for Dowry custom: Men or women. The chief guest for the prize distribution ceremony was Shree N. H Jadhav, Deputy Charity Commissioner, Pune. The first prize was won by Arjun Nalawade of Ranade Institute who was awarded the rolling trophy. The second prize was bagged by Swati Singh of New College , Bharti Vidyapeeth while the third prize was given to Pooja Jha of Ness Wadia College. Deputy Charity Commissioner Jadhav applauded the efforts of the college in organizing such a relevant and socially-oriented programme. He complimented the participants for their innovative, creative and eloquent oratorical skills. After listening to a few participants, he expressed optimum satisfaction and hope stating that the future of India was safe and the desirable winds of change will certainly blow across heralding a new India. The Secretary of Marathwada Mitramandal B G Jadhav presided over the function and was full of praise for the exemplary performance of the students at the elocution competition. The Judges of the competition were Dr Shailaja Sangale, a prominent social worker and Advocate Medha Bavdekar, a leading lawyer on the panel of several important banks in Pune. Dr N . B Shaikh, HOD, Economics Department, MMCC was the programme co-ordinator. Prof Ashwini Parkhi proposed the vote of thanks.